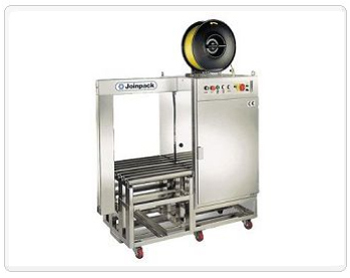 Automatic strapping machine which allows you to use straps with supported width (according to tech. specs. below). It has stainless housing with free roller table, apply one strapping when press start button. Easy to operate with user-friendly interface. Side seal is suitable for meat,marine fish and food industry.It has a whole bunch of technical options you can use auto load in feed, retracting system, loop ejector and more.